With the fast advent of technology and innovation, the risk of online harmful threats is also increasing. The environment on the internet is not safe at all for kids. There are lots of harmful threats available such as adult content, online bullying, predators, and many others. For parents, it is necessary to protect their kids from such harmful threats. If you suspect your kids watching inappropriate on the web then, you can take safety measure by permanently or temporarily block websites on your kid device. Here in this post, we will talk about talk about best website block apps. What can website blocker app do for us? Website blocker app is the application which is designed to restrict specific websites from accessing. You can set the list of websites that you would like to block on the target device. When a user tries to visit that specific website, this app will restrict it from accessing. 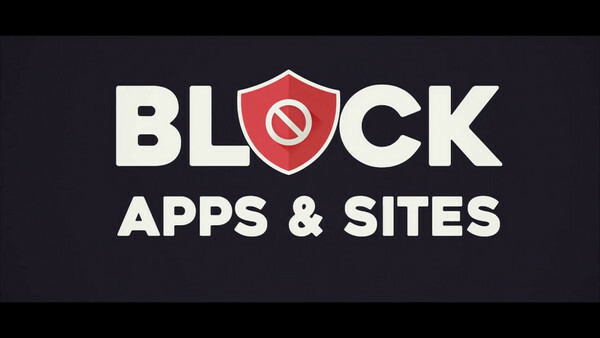 With website blocker apps, you can block websites which contain adult content, the risk of cyberbullying, predators, and other harmful threats. There are many reasons why people want to use website blocker apps. One of the major reasons is to prevent kids from accessing adult content, cyberbullying, predator attacks, and other. As a business owner, website restriction is necessary to prevent some websites which may cause a negative effect on the production of the business. FamiSafe is the best website blocker app which enables the user to easily block websites for the target device. Basically, FamiSafe is a monitoring tool for business employers and parents. In FamiSafe, you will find loads of features which make monitoring the target device easier. Website blocking is one of the best features of FamiSafe that suits every business or parent needs. One can block websites specifically with its websites blocking function. FamiSafe also allows users to easily locate the location of target devices. Set screen time limits and make sure their phone can not be used during study or sleep time or in specific places such as schools and bedroom. Using FamiSafe is very easy. A person with some basic technical knowledge can use this application. Compatible OS: FamiSafe is fully compatible with Android and iOS devices. Freedom is the website blocking service that is used by millions of people throughout the world. Using Freedom, you can easily block any number of websites from accessing on the target device. If your kid has iOS device then, you can download Freedom app on their device and restrict the websites that you want. There is millions of users use this application in their day to day life to protect their kids from harmful threats. The interface of this service is very user-friendly and easy to use. Compatible OS: It is designed for Windows, Mac, and iOS devices. This is another Internet blocking app which is equipped with some special set of functions. Anti – Social makes internet website blocking easier and assist you in making more and more profit. Anti-social app offer 60 days money back guarantee if you are not satisfied with their services. Moreover, Anti – Social is also featured in some leading newspaper and magazines. One can easily block social media websites with Anti – Social including Facebook, Twitter, and others. You can also set the timer to block the size. Compatible OS: It is compatible with Windows and Mac computers. Android and iOS versions are under development. Cold Turkey is one of the best temporarily block websites available on this app. This service is available for Android, Windows, and Mac devices. Engaging with this service, you can temporarily cut down the connection for the particular website from the target device. 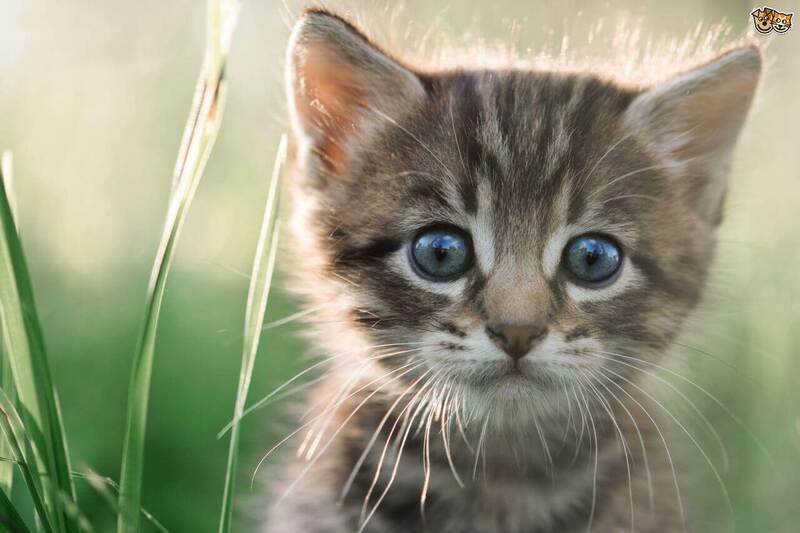 This is used by over 250,000 users throughout the world. Compatible OS: Compatible with Android, Windows, and Mac. 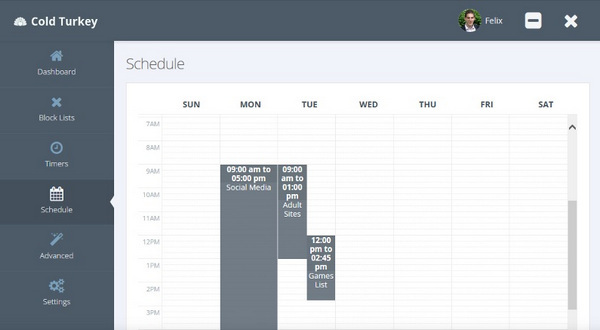 Rescue time is developed in order to make website monitoring easier than ever before. This website is equipped with lots of features which will help in website blocking. 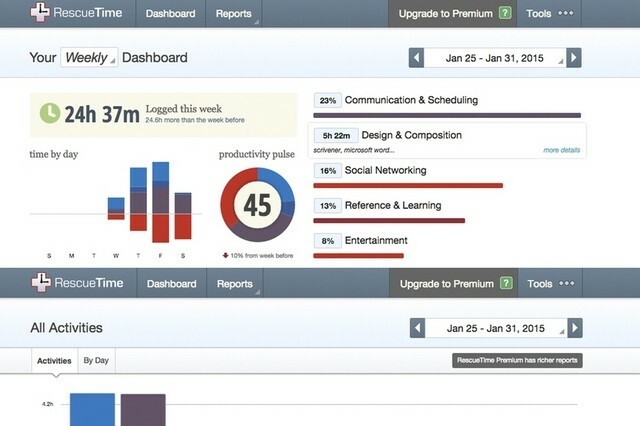 In this tool, you will find online dashboard with lots of features. This Website blocker app featured in many online reviewing sites such as PCmag.com and some others. Compatible OS: Compatible with Android, Mac, Windows, and Linux operating system. Focus me is a web known name in website monitoring solution. It is coded for Android, Windows, and Mac devices. 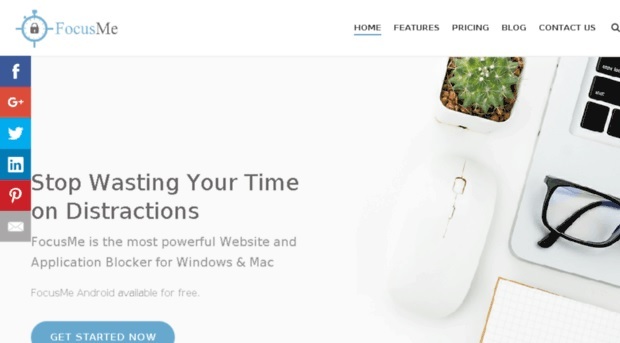 There are many online websites and magazine endorse FocusMe for its powerful features and easy to use. The price of this service is very affordable i.e. it suits every pocket. FocusMe offer 60 days money back guarantee. Using FocusMe is very easy as compared to other website blocking services. Compatible OS: It is compatible with Windows, Mac, and Android devices. Mobile Security & Antivirus is basically an Antivirus app designed to keep the device healthy and secure. But, there are some features available which help parents to restrict the internet usage. 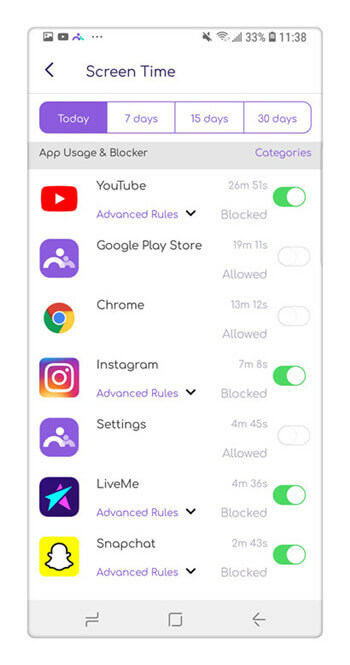 Website blocking is an integrated function in this app which allows parents to block any number of websites on their device. Parental control is the built-in function in Mobile Security & Antivirus. Your device will keep secure from ransomware attacks, fraudulent calls, messages, and others. Compatible OS: It is fully compatible with Android devices. 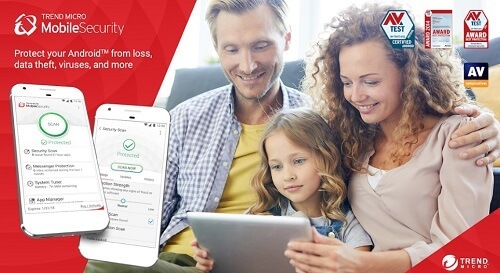 Kaspersky Safekids is a parental control application that is designed for both Android and iOS devices. In this monitoring tool, you will find a wide range of features which will assist you in kids monitoring. Some special functions are location tracking, notification alert, website blocking and many others. With Kaspersky safe kids, you can choose websites that you would like to block. 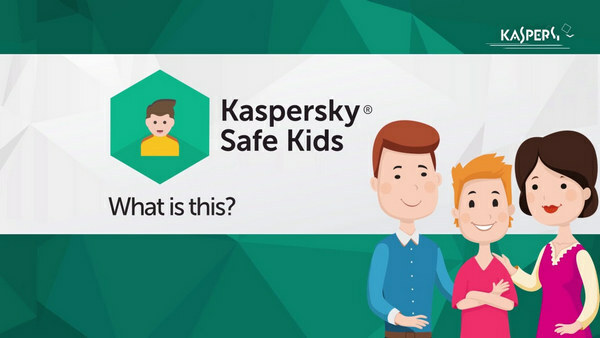 Internet safe search is also available in Kaspersky Safekids. Compatible OS: Compatible with Android and iOS devices. You will find almost every single function which is necessary for parental control. 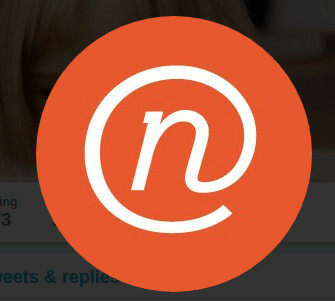 Website blocking is very much easier with Net Nanny. Compatible OS: Compatible with Android, iOS, Windows, and Mac devices. BlockSite is an application which helps us to block the website on the target device without them knowing. We just have to install the app on the device of individual, kid, or employee to block the website. This will help you to block adult content, social media sites, or any site that you would like to restrict from accessing. Compatible OS: It is only compatible with Android devices. Want to protect kids from online threats? Well, you can try FamiSafe – The best parental control. FamiSafe also works as a Website blocker app to block a harmful website on your kid device. To access FamiSafe services. You can create free FamiSafe account and access premium functions for 3 days at free of cost. If you satisfy with FamiSafe service, avail the subscription plan at reasonable prices.